Good morning! Welcome to The Morning Shift, your roundup of the auto news you crave, all in one place every weekday morning. Here are the important stories you need to know at this juncture, which is today, the day you are living in right now. If you read enough about autonomous cars, you’ve surely come across a few eye-popping figures that, without much context, seem like a pretty big deal. Like, for instance, $7 trillion. That’s how much one study predicts the self-driving car market will be worth over the next few decades. What does it mean? It’s kind of a guess, really, but it sure leaves the impression that robotcars are going to be a huge moneymaker in the future. The study has a figure, and reporters like nice round figures to use in their reports, so—voila—you’re left to believe that autonomous vehicles are a financial windfall in-waiting. Carmakers are increasingly looking to forego outright ownership of future autonomous driving systems in favor of spreading the investment burden and risk. The trend represents a clear shift in strategy from little more than a year ago when most automakers were pursuing standalone strategies focused on tackling the engineering challenge of developing a self-driving car, rather than on the business case. “Although it is a substantial market, it may not be worth the scale of investments currently being sunk into it,” said a board member at one of the German carmakers, who declined to be identified because the matter is confidential. So much for $7 trillion. Toyota and Mazda made waves this week with the announcement the companies were partnering to build a $1.6 billion assembly plant, but neither had a clue where it’d be located just yet. But one state has emerged as a likely frontrunner, Bloomberg reports: Mississippi, where the UAW failed last week to win a vote to organize a Nissan factory in the state. Hanging in the balance for states vying for the factory are 4,000 jobs that the two Japanese automakers expect to create through their joint investment. Locating the plant near Toyota’s existing manufacturing site in Blue Springs would enable the two to source parts from companies nearby that feed components to the Corolla. A head-start on a supplier network would be particularly attractive for Mazda, which doesn’t have a U.S. plant. Wherever it ends up, surely President Trump will stake out a claim that he made it happen. When Tesla revealed the Model 3 last month to the public and handed over the first 30 cars to employees, it finally released some long-awaited specs—except for one key thing: detailed info on the battery packs. But now that’s trickled out thanks to a recent filing with the Environmental Protection Agency, reports Electrek. There has been a lot of speculation, more recently through documents released by the EPA, about Tesla Model 3 battery pack options since the company first refused to confirm their energy capacities in an attempt to dissociate them from the vehicle’s options. But now CEO Elon Musk added to the debate and says that the pack options are “just over 50 kWh” for the standard version, which is expected to enable 220 miles of range, and about 75 kWh for the “long range” version, which Tesla claims can enable 310 miles of range. Now, EV enthusiasts have everything they need to know. Michigan has been a hotbed of activity for autonomous cars in the last few years, and the state’s governor Rick Synder is hoping to capitalize on the momentum with the addition of a new factory from iPhone supplier Foxconn. 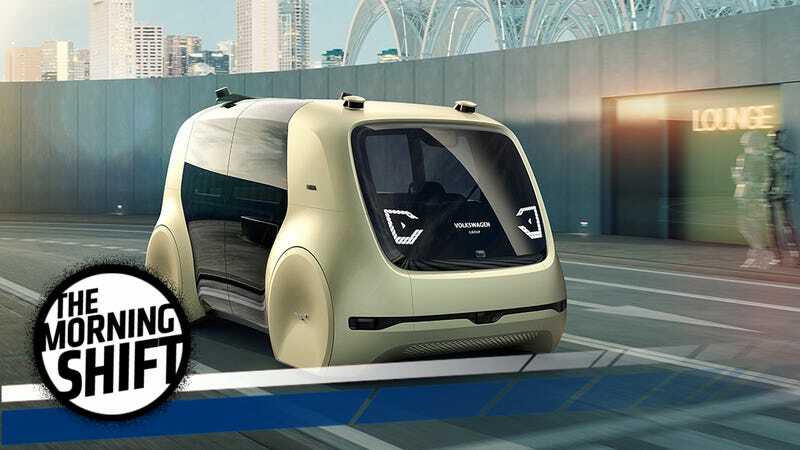 The supplier says it wants to build a robotcar-focused facility, but after talking with some analysts, The Detroit News couldn’t figure out exactly what the company might intend to do. Several U.S. analysts who were contacted were unfamiliar with Foxconn’s work in the auto industry to date. The company is best known for making electronic products for Apple, so it is unclear what form its research on driverless vehicles might take. A Foxconn spokesperson could not be reached for comment. Having a key supplier in the region could be a big asset to Michigan, but residents are probably wondering if that sort of “investment” would require a billion-dollar investment of their town. Wisconsin’s already looking to dump $3 billion in public funds to attract Foxconn to the state. I can’t imagine they’d expect anything less from Michigan. Uber and its former CEO Travis Kalanick have tried to burnish a new public image in recent weeks, with Kalanick stepping down and the company firing employees in the wake of a massive internal investigation into sexual harassment allegations. But Uber still has plenty of problems to address, all of which began under Kalanick’s tenure. Nonetheless, Kalanick’s already plotting a return to power. On Monday, the company’s co-founder, Garrett Camp, tried to clamp down on any expectation internally that Kalanick might prevail, writing an email to employees that said it’s simply not going to happen, reports Recode. Camp wrote that he received several questions about the CEO search when he attended a product leadership all-hands last week. The ride-hail company is in the middle of finding a replacement for Kalanick after he was ousted by a handful of major shareholders. The board has since narrowed down that search to four people but not without some meddling from Kalanick. As Recode reported, Kalanick has been telling people he’s “Steve Jobs-ing it” and will return to the company. Kalanick, however, has reportedly taken steps to regain control of the company’s board of directors. So we’ll have to wait and see whether Camp ends up right in the end. Reverse: Land Robbers Is More Like It, Eh? How are car companies going to need to change to stay profitable in a world of self-driving cars?